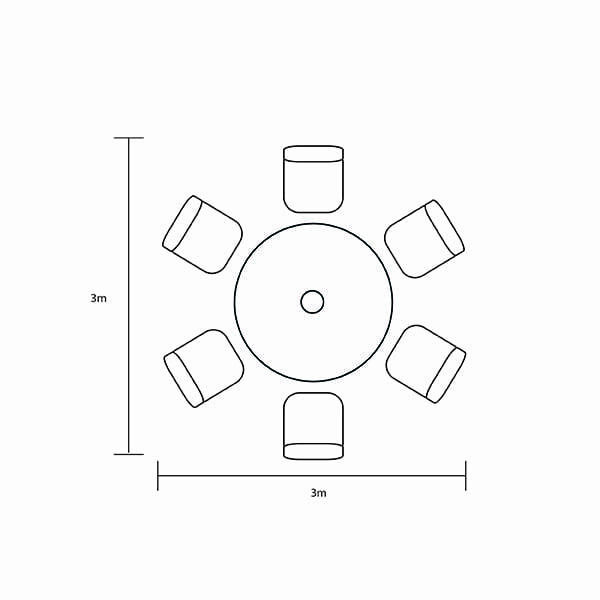 Dine Italian style with the Rimini six seat round dining set. Combining elegant lattice curves with a smooth finish this larger six seat table set can by left outside on your patio or decking in all seasons and still look beautiful in years to come. This set coordinates beautifully with other dining options in the full Rimini collection - or why not add the Rimini bench to your garden? Supplied with attractive Weatherready® cushions, supportive arm rests and slanted backs, along with a 2.5m parasol and 15kg base. The Rimini furniture set is always ready and waiting for your next soirée.